Pro Tools/Logic rig with Dangerous Music monitor section and 2-buss summing. Monitoring on Focal SM8’s and Yamaha NS10’s. 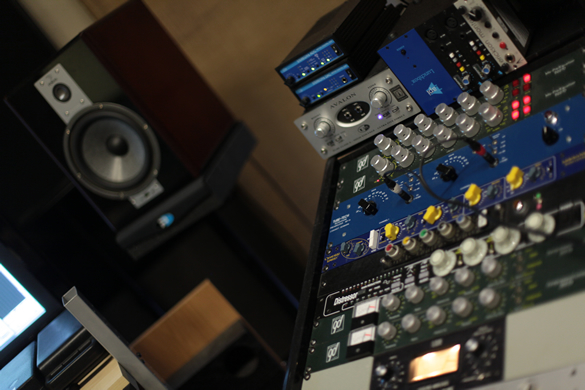 Many channels of various outboard pres, compressors and eqs, including Daking, Tube Tech, Mercury, EL, Chandler, UA, API, Calrec, Erickson and Avalon. Mics include Pelusos, Neumanns and others. 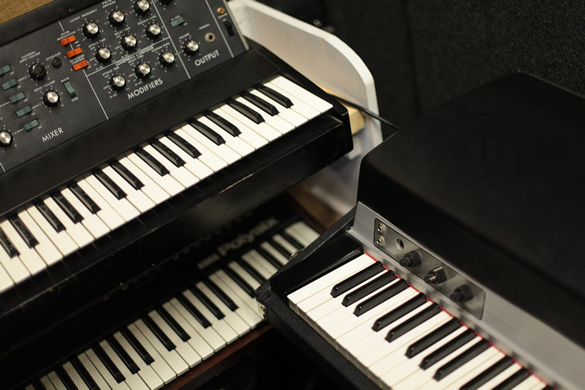 Lots of vintage keyboards and guitar pedals. 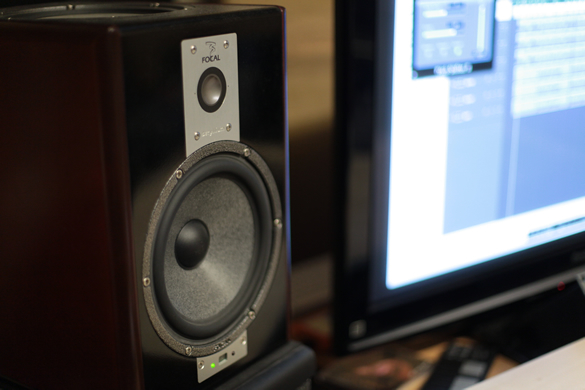 Focal SM8’s are critical for a full spectrum monitoring experience. For music to be effective in clubs, stereos, and iPods the mixes must translate from the studio flawlessly. Precision speakers are the most important part of the chain in this effort, along with a well tuned room and a quality D/A. For the tracks that Tim K did, he generally started with a melodic synth part and built drums around that. Once a vibe was established from the track, we experimented with vocal melodies via improvisation. We culled our favorite sections that fit our tastes and constructed lyrics from there. 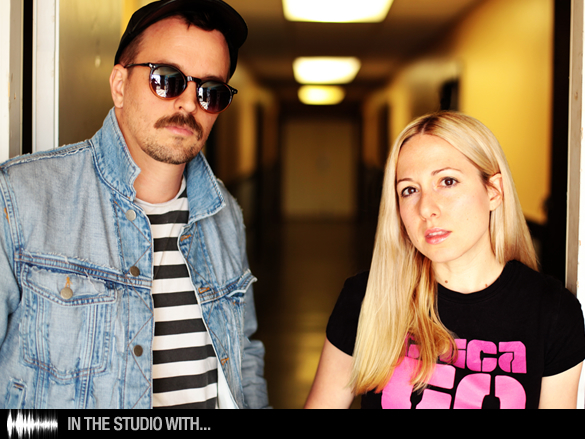 What piece of studio equipment or production process defines the Colette / Tim K sound? Since there are tracks from various producers on the album, it was important to have a consistent vocal chain to bring continuity to the sound. We used a Peluso P-12 into a Daking 52270 pre, into a vintage Urei Teletronix LA-3A into a Mytek A/D. 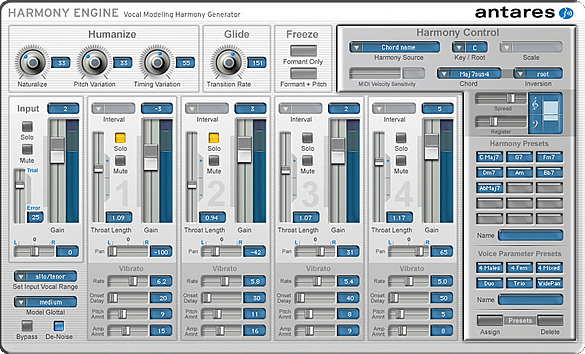 This vocal sound is modern, full spectrum and rich, with a little vintage vibe via the compressor. This mic has a full top, which highlights the emotion of the performance, and a balanced low end, which compliments the bottom of Colette’s voice. In addition to the vocal chain, on this album we experimented with a variety of modern vocal effects, including vocoders, talk box, harmony modeling and pitch correction abuse. These techniques allowed us to craft a modern and unique vocal approach. 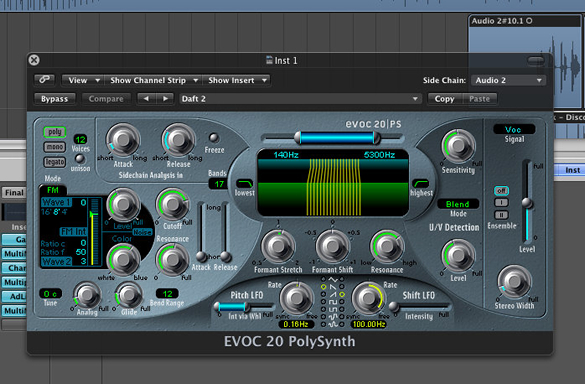 The vocals and most of the tracks were produced in Logic Pro 9. 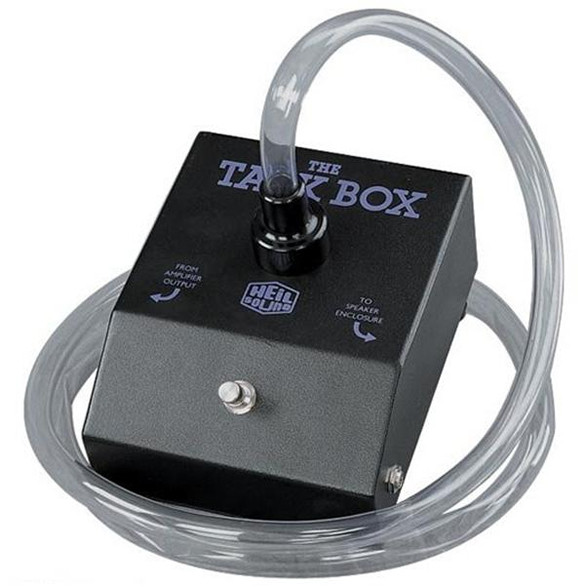 For the haunting electronic tone for the record’s mood, we used a combination of Logic’s vocoder and new convert to sampler feature, along with Antares Harmony Modeler and an outboard Talk Box. These techniques were different than past Colette projects and helped bring the sound to a new place. 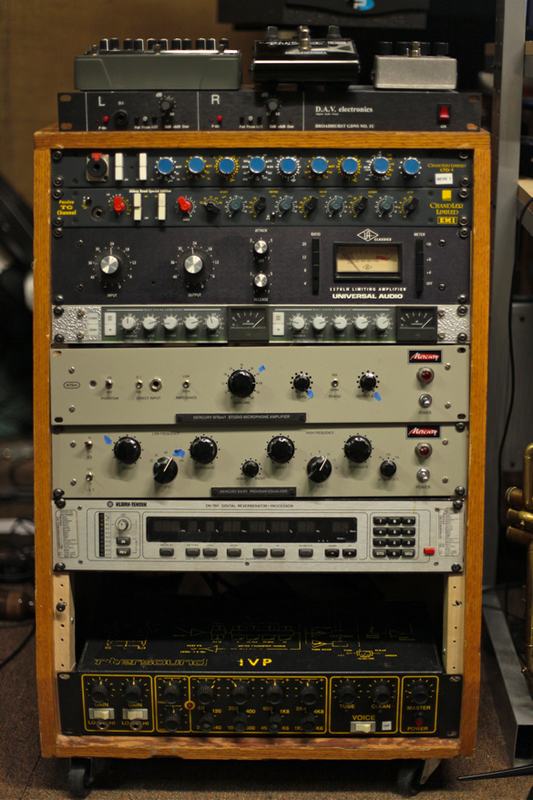 The newest piece of gear we used on this record is also one of the oldest pieces of gear now in the studio. 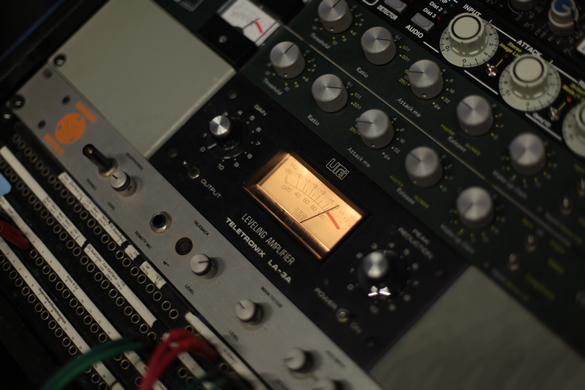 We used a vintage Urei Teletronix LA-3A in the vocal chain, which has a classic and unique fat compression sound. 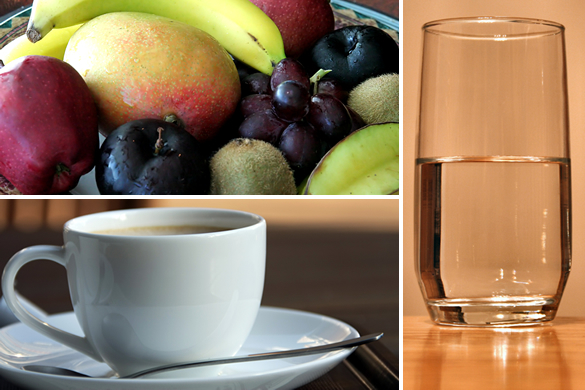 We like to keep it simple in the studio: water, coffee and more water. Colette was also pregnant during part of the album recording so she brought lots of fresh fruit. Kraftwerk, Africa Bambaataa, Adonis, Romanthony. 80’s futurism was the inspiration and launchpad for this album. and a new one you haven’t heard yet ‘When The Music’s Loud’. What handy Colette / Tim K studio tip would you pass onto producers out there? 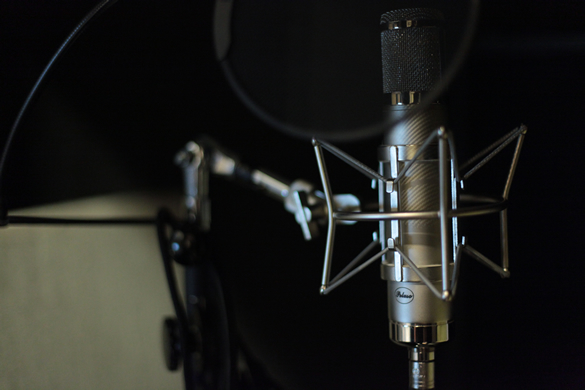 To avoid an overly pop vocal sound, don’t get too close to the mic. It’s obvious, but people make that mistake all the time. At the same time, we recommend breaking the rules… really let your ears guide you. Experiment, experiment, experiment! In the songwriting arena, the best tip we ever heard was once you create a vibe for a song, try to stay connected to that feeling throughout the rest of the process. The new remixes of ‘Crush’ by Chuck Love, Bryan Jones and Hugh Cleal are coming out next on Candy Talk! Colette ‘Crush 2’ is out now on Candy Talk.